Sixty-thousand light-years from Earth, the corrupt Terran Confederacy holds the Koprulu sector tightly in its tyrannical grip, controlling every aspect of its citizens’ lives. One man dares to stand up to this faceless empire and vows to bring it to its knees: Arcturus Mengsk – genius propagandist, tactician, and freedom fighter. A monstrous act of bloody violence sows the seeds of rebellion in Arcturus, but he is not the first Mengsk to rail against such oppression. Before Arcturus grew to manhood, his father, Angus Mengsk, also defied the Confederacy and sought to end its brutal reign. The destiny of the Mengsk family has long been tied to that of the Confederacy and the Koprulu sector, but as a new empire rises from the ashes of the past and alien invaders threaten the very existence of humanity, what will the future hold for the next generation…? For my first foray into the world beyond Warhammer, I landed in familiar territory – that of the Starcraft universe. I’d gotten the nod to do to the story thanks to some good mates within Blizzard who vouched for my good character and talent (the fools…) and from there it was a case of fixing on a story to tell. I plotted one out, and it was all ready to go, but before I got going on it, Blizzard contacted me and asked if I’d mind putting it on hold for a bit. They wanted me to do a novel dealing with the game characters to tie in with the release of Starcraft II. Thus I, Mengsk was born. 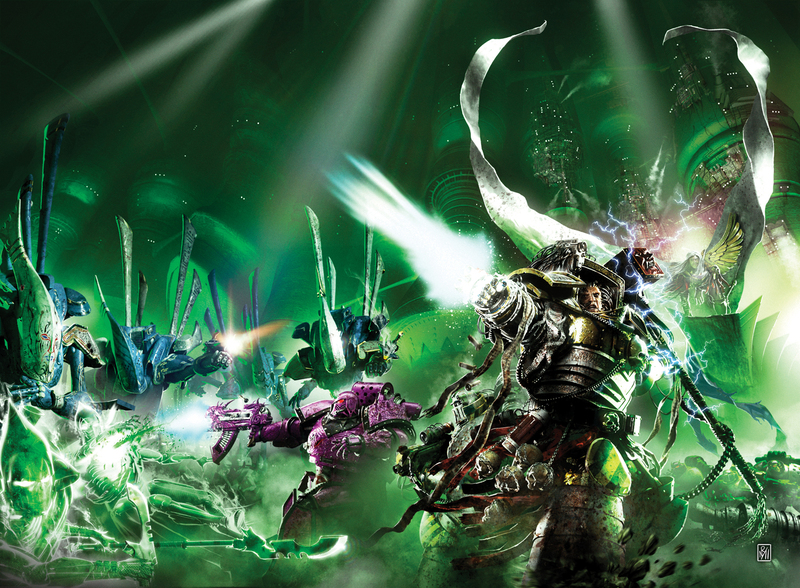 If you’re not familiar with it, Blizzard’s Starcraft has much in common with the world of 40k. Enough that I felt confident enough to write a good story there, but different enough that I’d need to flex different muscles to tell it. The challenge with I, Mengsk was to make it feel like a Starcraft novel, not just a Warhammer novel with the names changed. That meant the dialogue had to sound different and the characters had to feel more recognisably human. That might sound a little odd, but humans in the Starcraft universe are much more like us than their 40k counterparts, with many of the same concerns – jobs, family, relationships etc. Humans in the Warhammer 40,000 universe have concerns that are pretty far removed from that, like not getting eaten by a daemon, purged by the Inquisition or devoured by Tyranids. In that respect, it was easier to get into the heads of the Starcraft characters, as they could sound like us and share many of the same emotional beats. I knew a bit about the Starcraft universe, but not as much as I needed to. Before I put pen to paper, I read all the existing novels several times over and dug out everything I could find on the net about the plots of the games, the characters and the unit types. We’d played a bit of Starcraft in the GW Design Studio in our lunch hours, so I knew enough to get a grasp of things pretty quickly. One of the things I liked was that a lot of the universe was largely unexplored, so it was fun to invent stuff as well. I met Chris Metzen – one of Blizzard’s creative powerhouses – while visiting their studio in 2007 and he looked over all the stuff I sent over in the planning stages. Andy Chambers, my boss back my Games Workshop days before he moved to California, corresponded with me in the initial stages of the book’s preparation, helping me get my head around the nitty gritty of the universe. Like a lot of created science-fiction worlds, the Starcraft universe uses strong archetypes and bends them into interesting shapes that fit its own world. As with any good mythos, it expands over time and those archetypes start to assume their own identity as their stories grow and develop new wrinkles. Starcraft’s done this nicely and it felt good to be adding something to that by writing more layers to the story and universe in the same way the others novels did. I split the story into three major chunks, with each of the Mengsks getting their own section. The story was bookended by a major event in the life of Arcturus and Valerian, and while Angus, Arcturus and Valerian each have their own section, I knew there would need to be degrees of overlap, though I tried to make the transitions happen naturally. The Starcraft manual tells some of Arcturus’s history, but it does it in about a paragraph, which left lots of room to tell interesting stories. In other words, very little of what I was writing about had been detailed to the level I needed to tell it. There was almost nothing written about Angus and his relationship with Arcturus, and a lot of what I felt was the real meat of the drama between them was fresh territory to explore. As much as it was fun to play with Arcturus Mengsk, it was a Marine character named Angelina Emillian who was the most fun to write. She was tough, no-nonsense, sassy and utterly ruthless femme fatale. She got some killer lines and was the one person who gave as good as she got with Arcturus. Writing Angus and Katherine was fun, but writing dialogue for Little Dot, Arcturus’s baby sister was a hoot. It’s been a while since the writing of I, Mengsk, and though the time hasn’t been right to pen another, it’s a universe I’m keen to get back to sometime.